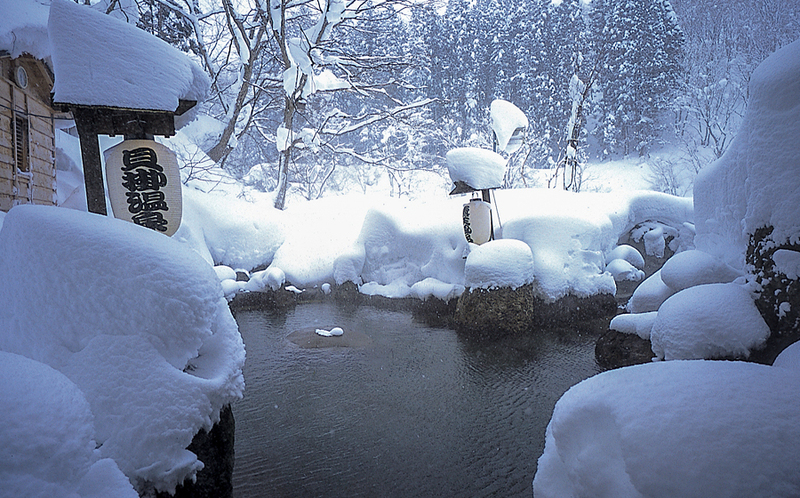 Indulge in the snow, the food and the hot springs of Echigo-Yuzawa! If you’re looking for a one-stop-shop for a snow holiday in Japan, look no further than Echigo-Yuzawa. There’s delicious local food, fantastic hot springs and of course plenty of snow to go around. The area receives a whopping 12 metres of snow during its winter season. 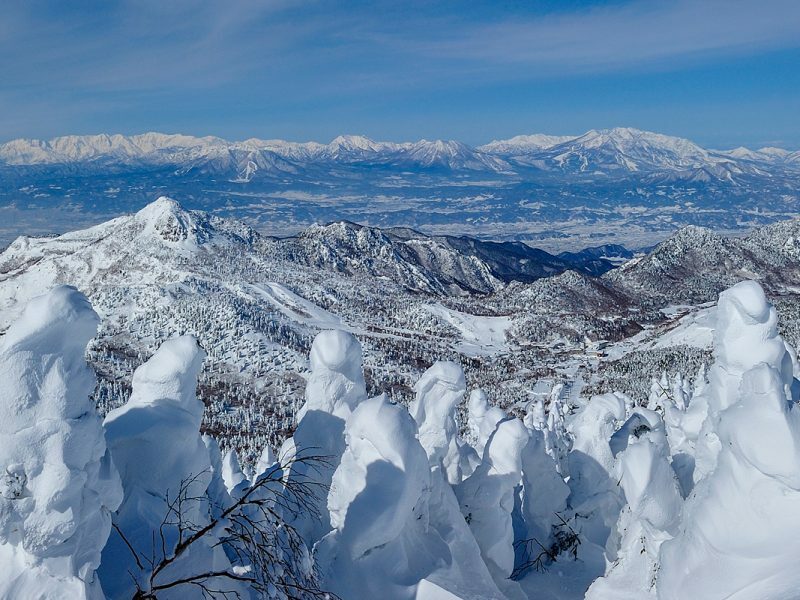 This is due to the Siberian weather that crosses the Sea of Japan over to Niigata, and Echigo-Yuzawa is one of the first alpine areas that it lands on. It’s truly a powder hound’s dream come true. 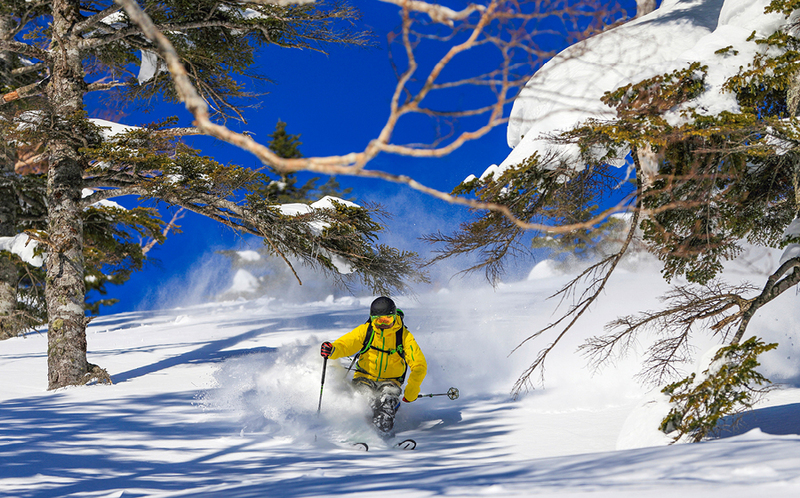 There are 12 ski resorts around Echigo-Yuzawa, including the vast Naeba and Kagura ski resorts. 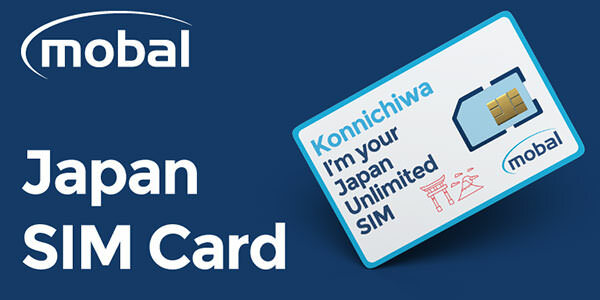 Naeba Ski Resort and Kagura Ski Resort are connected by Japan’s longest gondola, the Dragondola which travels over 5 kilometres between the two. With four ski areas covered between the two that both sit 2,000 metres above sea level, there’s so much powder, terrain and fun to be had here. GALA Yuzawa is closest to the bullet train line, with its own adjoining station, while Ipponsugi and Yuzawa Kogen ski resorts are within ten minutes on foot. 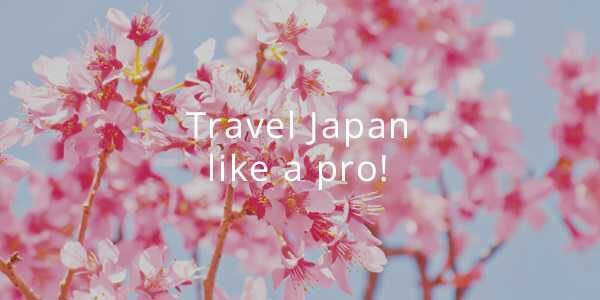 Bullet train services from Tokyo rocket visitors directly to Echigo-Yuzawa in as little as 77 minutes, and with a huge range of rental gear available, it’s possible to leave Tokyo with nothing but a backpack to enjoy a day out in the snow country. 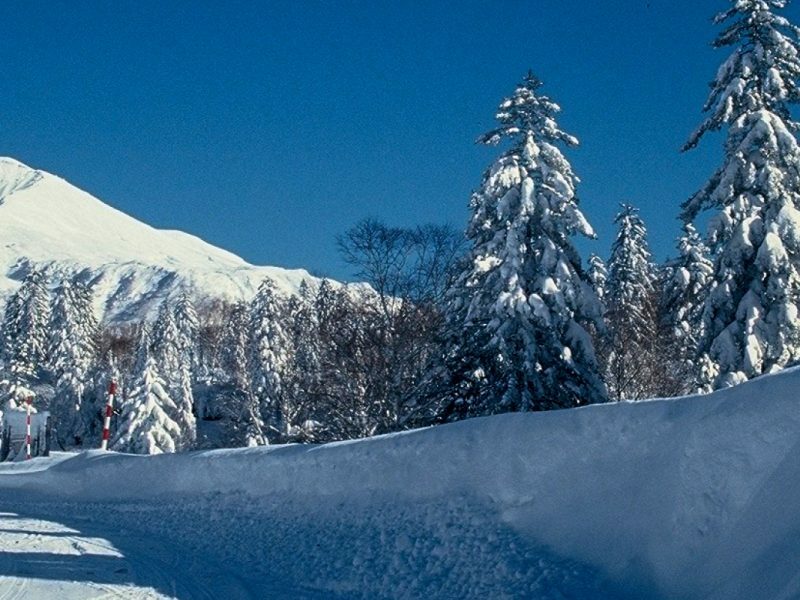 With all the snowfall and beauty that surrounds Echigo-Yuzawa it is no surprise that the area inspired the appropriately named Nobel Prize-winning novel, Snow Country, written by Yasunari Kawabata. The novel was written at Takahan Ryokan, one of Echigo-Yuzawa’s finest hot spring inns, and a tasteful example of vintage Japanese interior design. Kawabata’s room, the ‘Kasumi-no-Ma’, has a magnificent view over the township and surrounding countryside, and is open for visitors to experience the ambience which inspired him to write Snow Country. 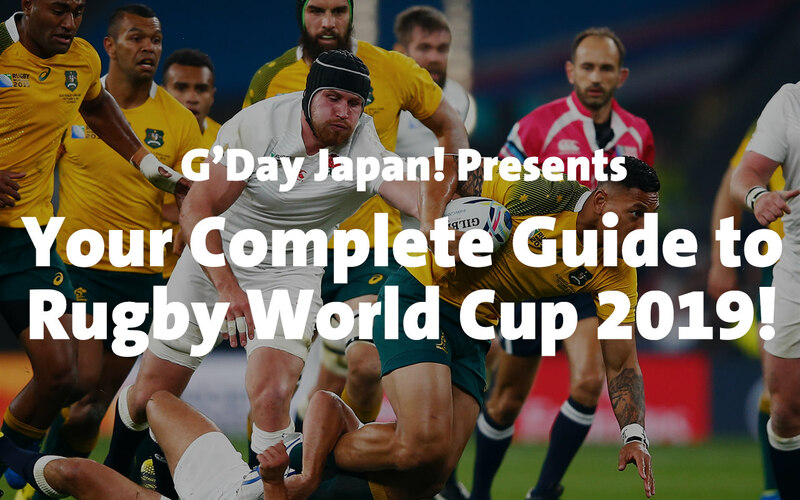 In the Echigo-Yuzawa area, there are approximately 250 accommodations of all types; from resort hotels, cabins and traditional Japanese ryokan inns, you have plenty to choose from. 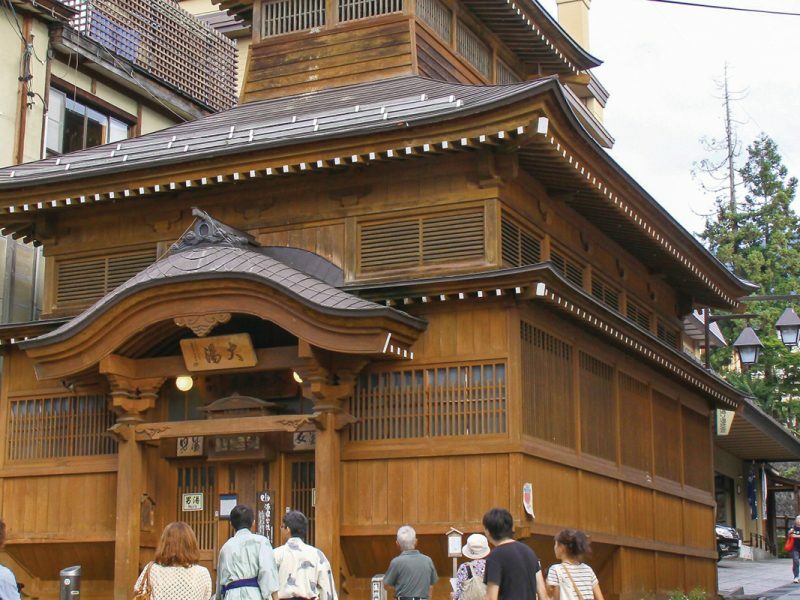 Many of these also come attached with its won hot spring bathhouses and restaurants that serve authentic local foods that will add more to your own Snow Country story. Echigo-Yuzawa may be known as Snow Country, but Niigata is known as one of Japan’s leading rice farming country. Rice is of course the heart of all Japanese meals, wherever you go, and it is also the key ingredient in sake. The Koshi-hikari rice that the Minami-Uonuma farmland farms is known to be especially juicy and tasty; so not only can you expect ample snow at Echigo-Yuzawa, but you can also expect to have tons top quality rice and sake during your stay. 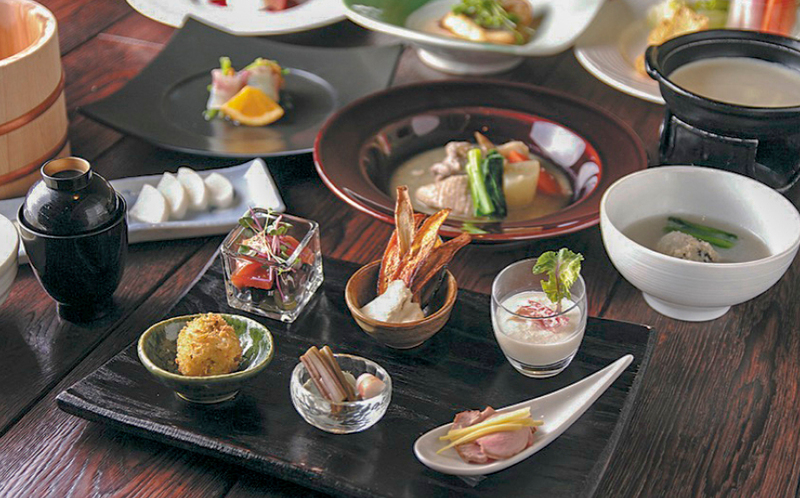 The rice will taste even better is when it’s paired with fresh seafood, and this is also possible at Echigo-Yuzawa. Being so close to the Sea of Japan, freshly caught seafood is available all over town. 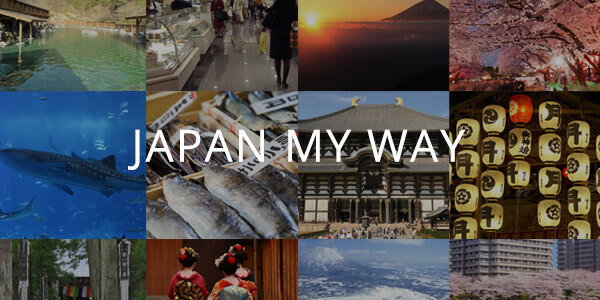 Most accommodations, especially the ryokans and the resort hotels will have banquets available where you’ll be able to enjoy an on paráde of fresh seafood and local foods. The abundance of snow and the beauty of Echigo-Yuzawa is celebrated every March by the local residents at the Yuzawa Snow Festival. 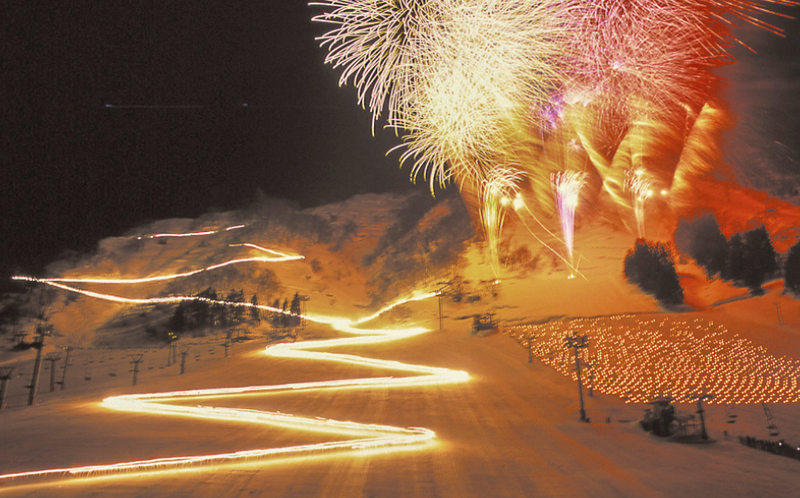 This magical festival has been celebrated for over 60 years and it is held at the Yukawa Kogen Ski Resort. The resort is decorated with snow sculptures lit by candlelight and the celebration includes fireworks, a portable shrine procession, torchlight ride, taiko drumming and a beauty pageant. The resort itself is one of the twelve resorts of Echigo-Yuzawa and it has a ski-in and out hotel attached. 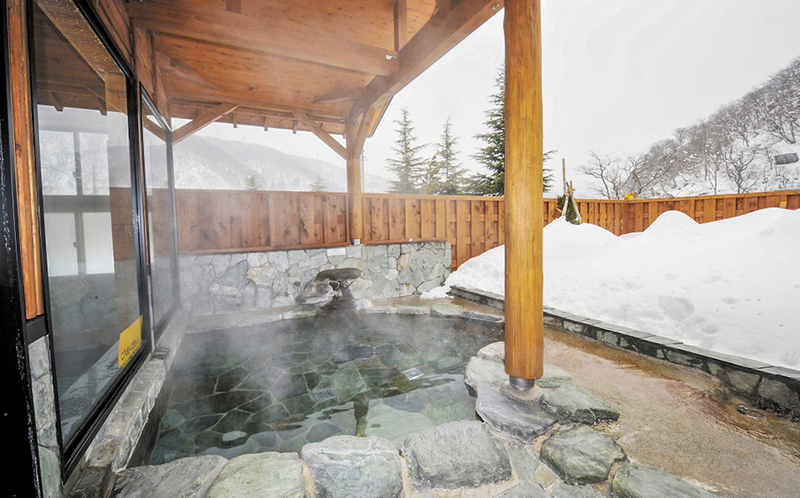 At Echigo-Yuzawa you are presented with a fantastic selection of hot springs. Most accommodations will have one within its facilities but there are also public hot springs known as ‘soto-yu’ all around town. You can purchase a discount pass to access five of these ‘soto-yu’ at the visitor centres in the area. This pass will let you take a tour of the ‘soto-yu’ baths and experience a variety of hot springs. You will certainly want to take home a thing or two to remember the gorgeous snow country that is Echigo-Yuzawa. 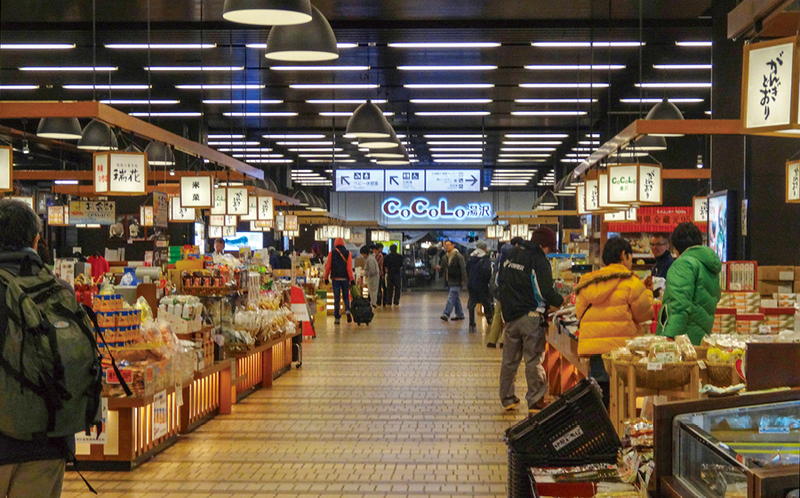 The perfect spot to shop for any locally made gourmet foods, sake and souvenirs, head to Gangi-dori located inside Echigo-Yuzawa station’s CoCoLo Yukawa building. CoCoLo Yuzawa also conveniently has a visitor centre for assistance with bookings, internet, luggage storage, maps and local information. 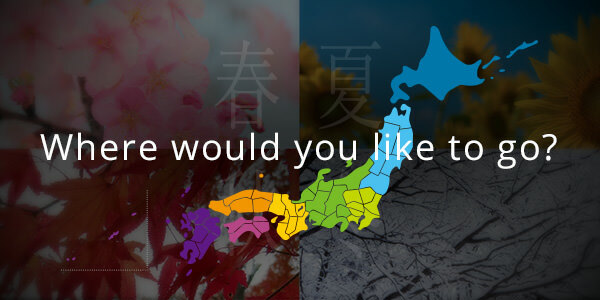 Get expert advice on selecting the right local sake for you at Ponshukan. It’s a fabulous sake museum where you can sample 100 of Niigata’s boutique brews and purchase to take home. There’s even a sake-bath and a cafe with drinks made with Koji – which is a kind of yeast made from rice. Large scale entertainment resort connecting four ski areas! Naeba Ski Resort is a massive ski resort off 200 hectares with the experience of hosting the Alpine Ski World Cup. Within its huge field there are 22 courses as well as three types of kids parks and three gondolas operating. Naeba Ski Resort is a highly versatile ski resort that’s family friendly and can accommodate any skill level. You also have plenty of terrains to try out within the 22 courses at the resort. The quality of snow is known to be of one of the highest in the area, and with it sitting on a higher altitude than other ones in the area, it provides all kinds of terrains. During the season, Naeba Ski Resort operates from daytime 8am until nights 8:30pm every day so there’s almost no time limit on how you spend your time at the resort! The Dragondola, the longest gondola in Japan at 5,481 metres, connects Naeba Ski Resort with the three areas within Kagura Ski Resort. 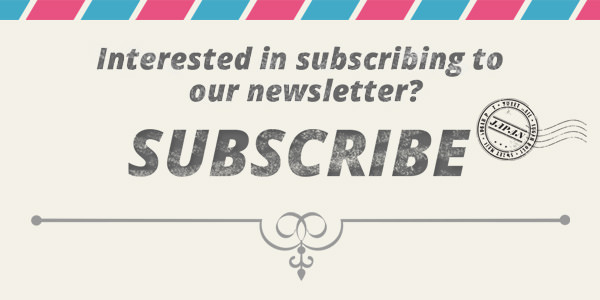 This means you get access to four ski areas across two resorts! 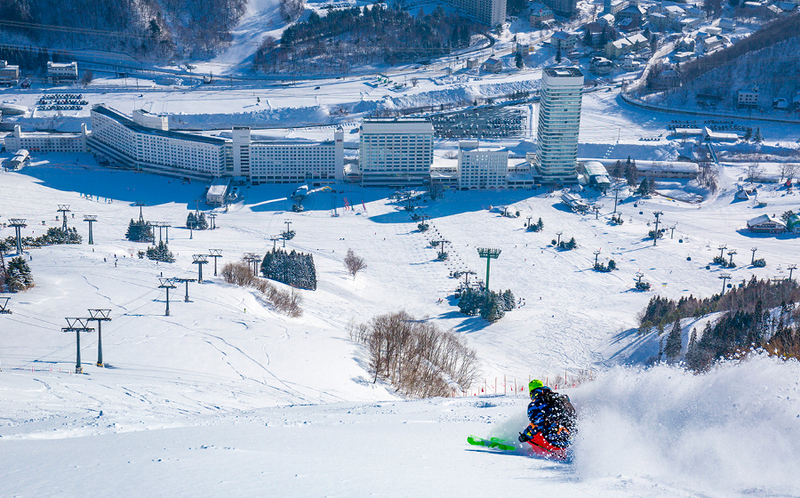 At the base of Naeba Ski Resort is the ski-in and out Naeba Prince Hotel. You can step right on to the snow from the entrance of the hotel. Within the hotel, there are 1,200 guest rooms and convenient facilities including a multi-lingual ski school and three equipment rental stores stocked with the latest goods. Other après ski activities at the resort includes lunch and dinner at the hotel restaurant, shopping and hot spring baths. 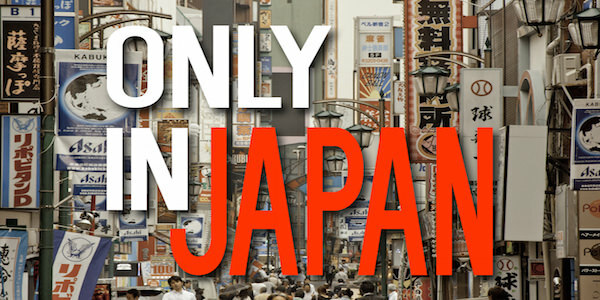 Being located just 2 hours from Tokyo. The hotel also operates courtesy shuttle buses for its guests to and from Echigo-Yuzawa station. 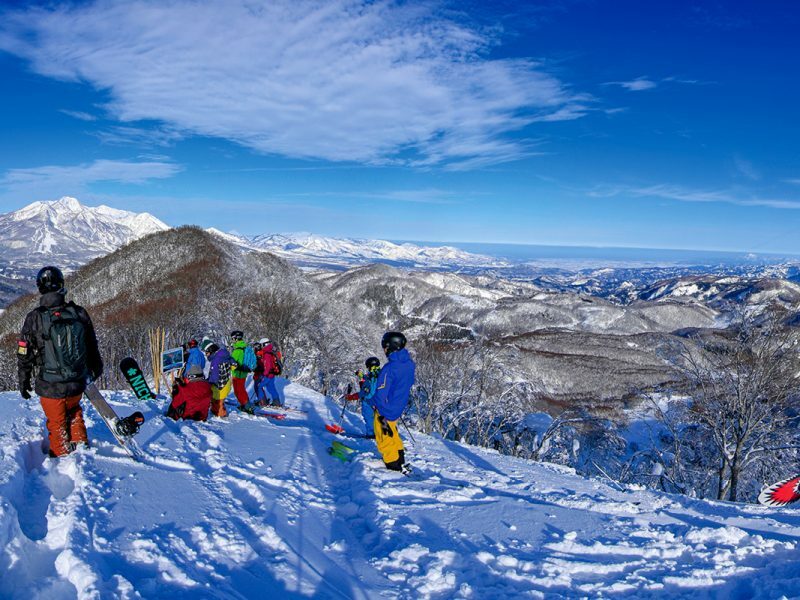 Kagura Ski Resort is a three-in-one resort that covers the areas of Kagura, Mitsumata and Tashiro, not to mention its connection with Naeba Ski Resort via the 5 kilometre long Dragondola. The resort is known for its deep powder due to its high altitude, so it is no surprise that it’s frequented by those chasing fresh quality powder snow. Enjoy their deep powder in their groomed runs, which come with a gorgeous view of the lake or you can enjoy off-piste, side country and backcountry ski and snowboarding here too. While at Kagura ski Resort, why not at Wada Goya, a mountain hut up on the hill at the resort? This will ensure you’re the first to get on the snow in the morning.